Started as the Ballet Society in 1946 by choreographer George Balanchine and impresario and writer Lincoln Kirstein, the New York City Ballet was officially established two years later and has since grown into one of the world’s renowned ballet companies. With the mission of “producing and performing a new ballet repertory that would reimagine the principles of classical dance,” the New York City Ballet’s home base is Lincoln Center’s David H. Koch Theater, where the company presents fall, winter, and spring seasons and the annual holiday production of the Nutcracker. NYC Ballet has invested in its media presence, particularly through photography and video that provide audiences with behind-the-scenes access to the ballet world. 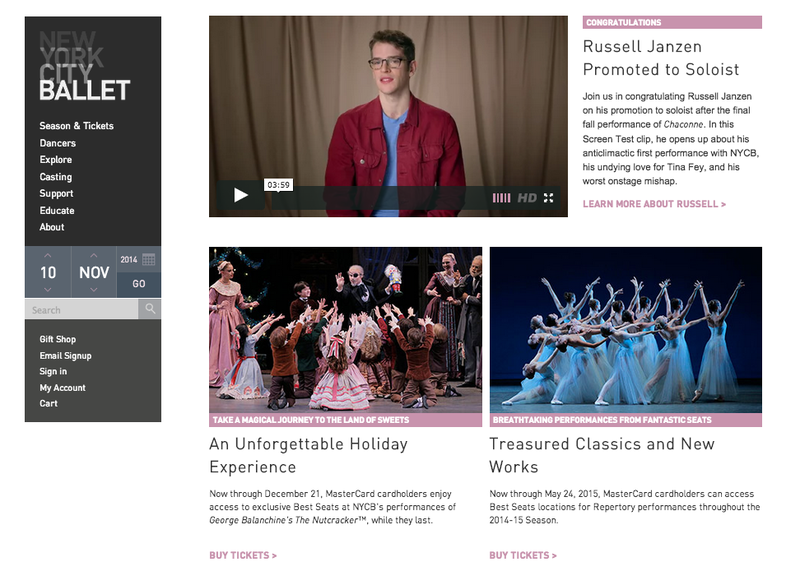 Short segments about current projects, historical reflections on past work, and playful videos and photos that illuminate a life in dance are all part of the NYC Ballet’s media profile. 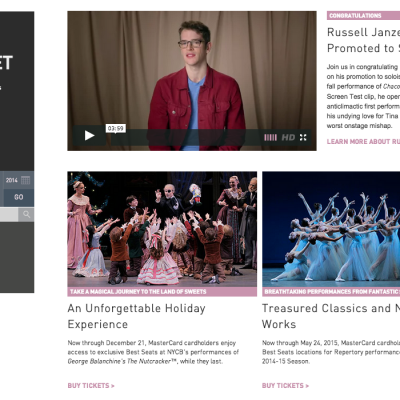 NYC Ballet’s dancers are prominently featured throughout the company’s media content, including personalized pages on the NYC Ballet website that include biographies, videos, interviews, and performance histories for every company member. 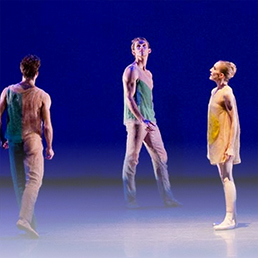 The website’s Repertory section provides descriptions, video clips, images, and dancer commentary on established pieces. A Pentagram app allows users to remix NYC Ballet choreography by tapping and tilting the touch-screen interface. 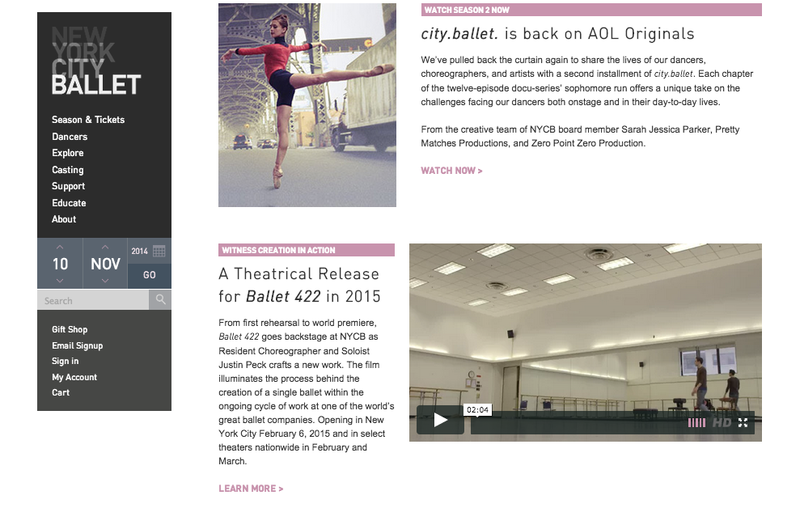 NYC Ballet is also active on social media, with a large fan base on Facebook, Twitter, and other channels. In a program called NYCB Turnout, the organization encourages its social media followers to create fund-raising events of their own design. Thus far events have included “A Class and a Glass,” inviting people to attend a beginning ballet class, then enjoy a toast with the artists and “Culinary Choreography,” a cooking class in which dancers join in.